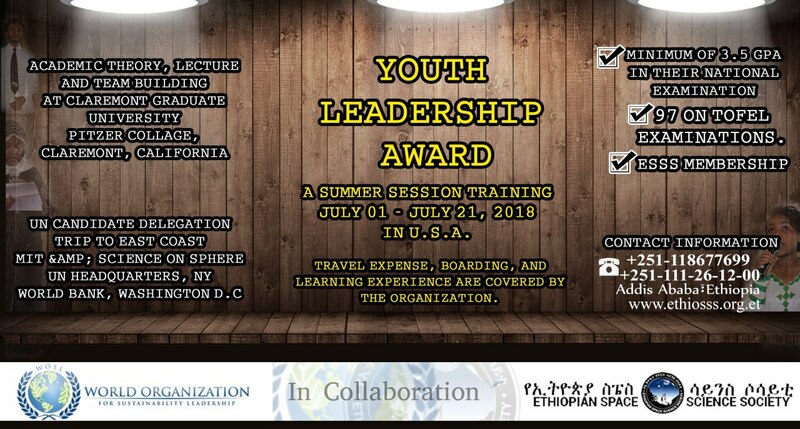 Ethiopian Space Science Society in collaboration with World Organization for Sustainable Leadership have opened the Youth Leadership Award (For 2 students), a Summer Session leadership Training taking place from July 01 – July 21, 2018, in the USA. Academic theory, lecture and team building at Claremont Graduate University and Pitzer College, Claremont, California. Travel expense, boarding, and learning experience are covered by the organization. The participant should be Ethiopian national who currently is enrolling in Preparatory school. The participant should have a minimum of 3.5 GPA in their national examination results. 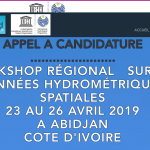 The participant should have a minimum score of 97 on TOFEL examinations. and Is a member of the Ethiopian Space Science Society. History of previous participation at ESSS and related space activities. The student should write essays on the following topics with words no more than 500. How will you use the experience gained through this leadership training in your personal or academic life?